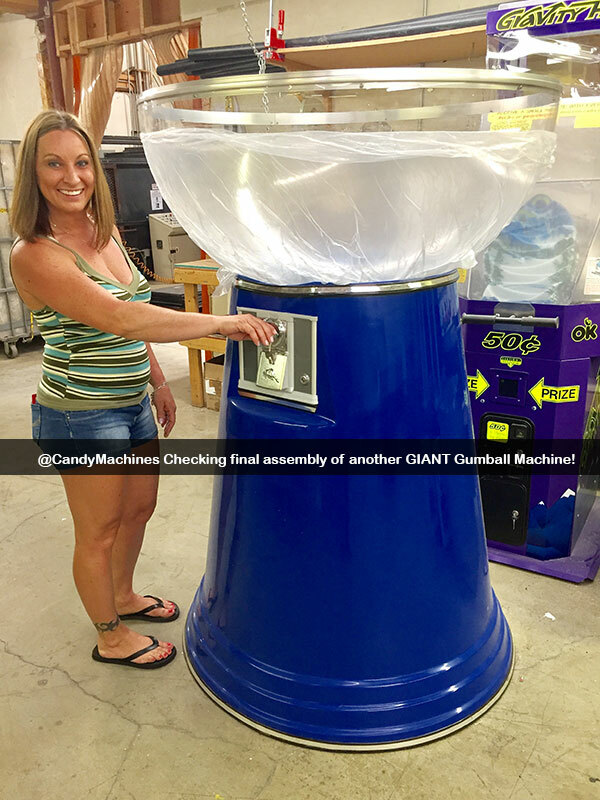 The Original Big Mama Giant Gumball Machine can hold almost 40,000 1 inch (25 mm) Gumballs (more than 45 cases of 850 count), Jawbreakers, Sweet Revenge Candy, Super Bouncy Balls or Round Capsules. Can be modified to vend 2 inch capsules. The colored body is made of fiberglass not some cheap plastic. Big Sister to the "Little Mama." The size speaks for itself! 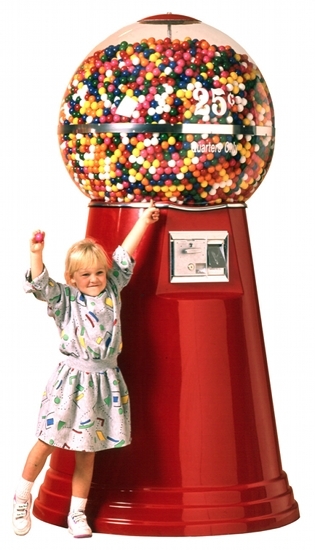 This is one HUGE gumball machine that towers over children and adults. A gumball machine to end all gumball machines! Watch how people line up to buy their gumballs. Take pride in having a "showpiece" gumball machine. 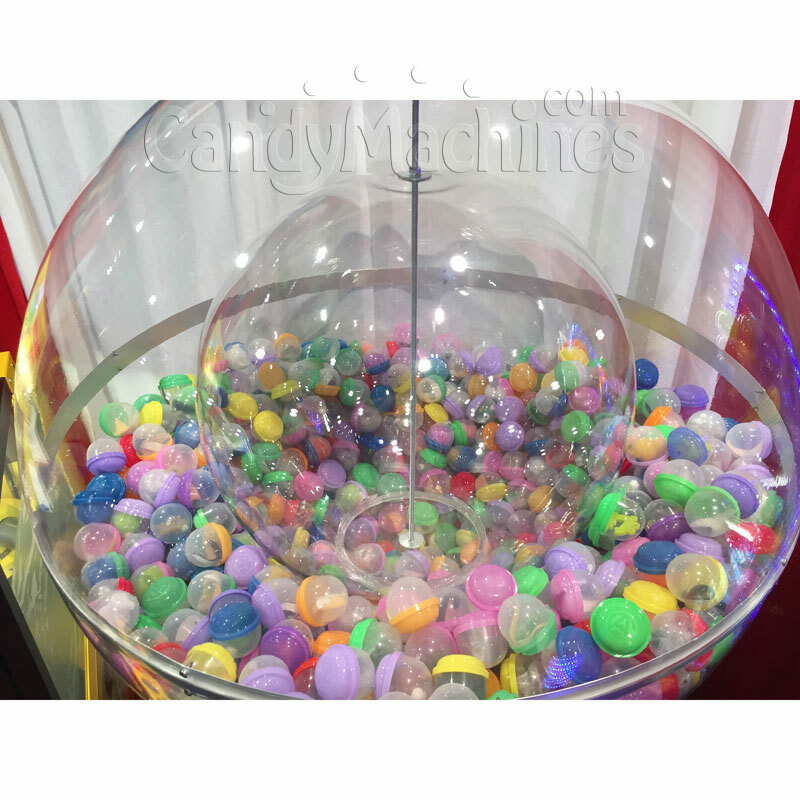 The Giant Big Mama Gumball Vending Machine can be customized with your corporate logo, school, or any custom artwork or color. Don't see a color that matches your colors? Make a HUGE impression at your next trade show or event! 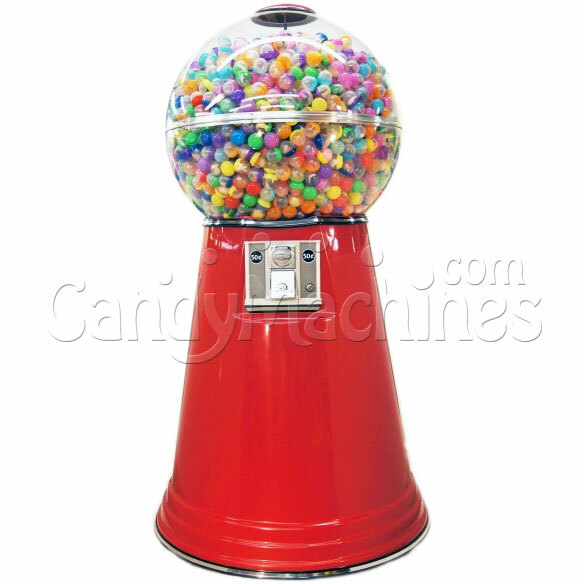 Contact us today and we'll work with you to customize our Big Mama Gumball Machines to your exact colors. 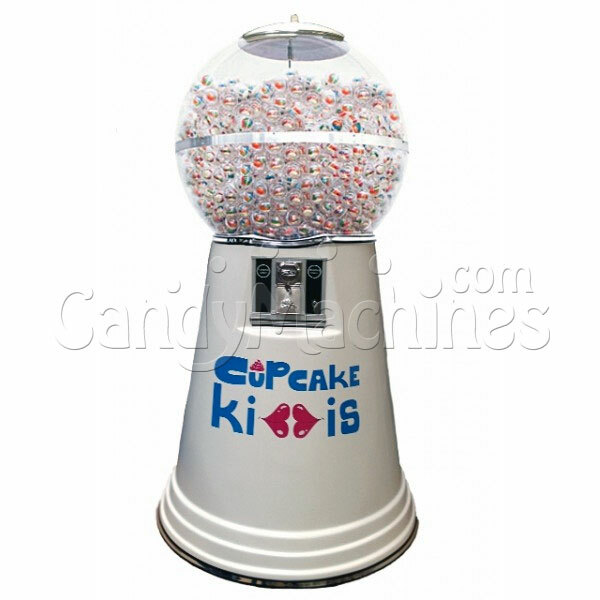 We can also customize the giant gumball machines to dispense customized items to fit your needs. 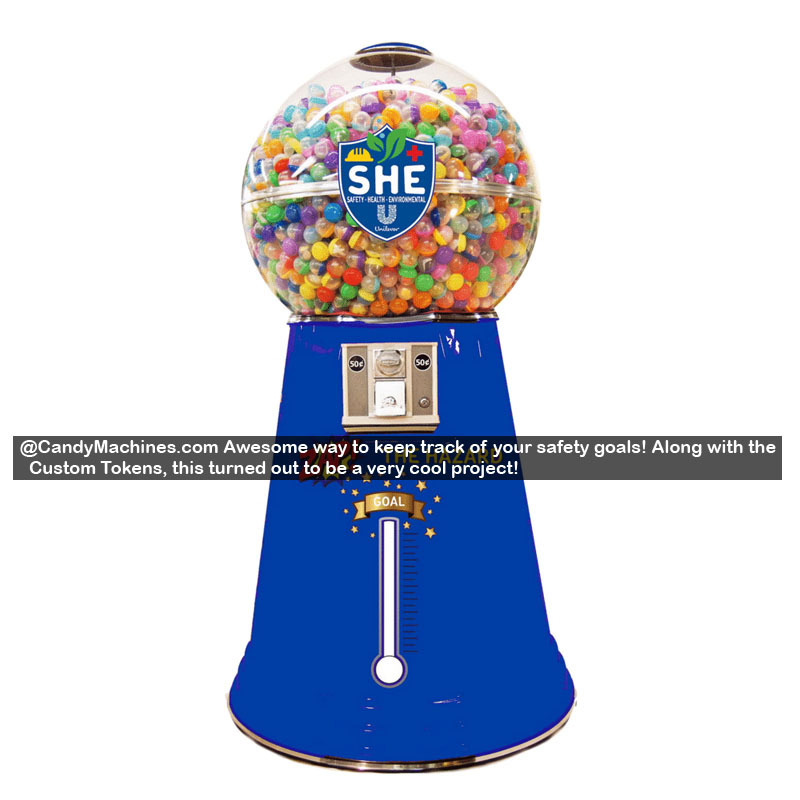 We customized machines to vend everything from ping pong, golf balls, cupcakes, tennis balls, lacrosse balls, 2 inch toy capsules, custom tokens, and much more! What is an inner globe? 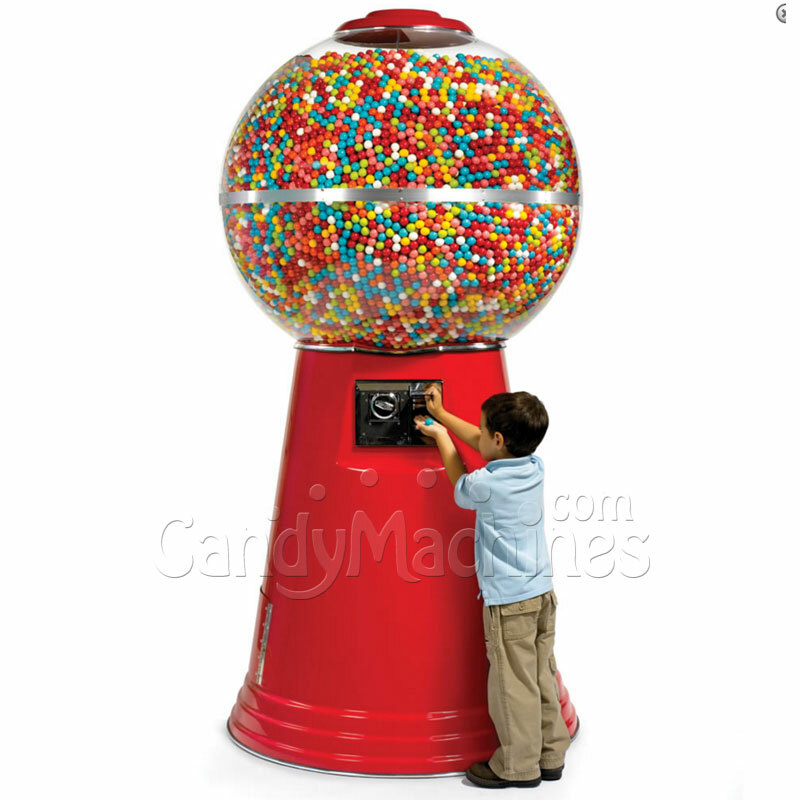 The inner globe creates a false space inside the machine so can have the appearance of a completely full gumball machine without the need to truly fill a 42 inch globe full of gumballs. This helps keeps your gumballs fresh while maintaining the appearance you're looking for! Option to remove inner globe spacer for higher capacity to hold approximately 40,000 gumballs (45 cases of 850 count 1 inch diameter gumballs). Made in USA. Replacement parts easily available. Lifetime Warranty on coin mechanism against manufacturer defects under normal working conditions and ordinary wear and tear. Allow 7 - 10 Days production time. In a rush? Call us about rush options. Often times we can get rush orders out at no extra charge! *Foreign Coin/Custom mechanisms will need to be quoted based on the coin/token requested. 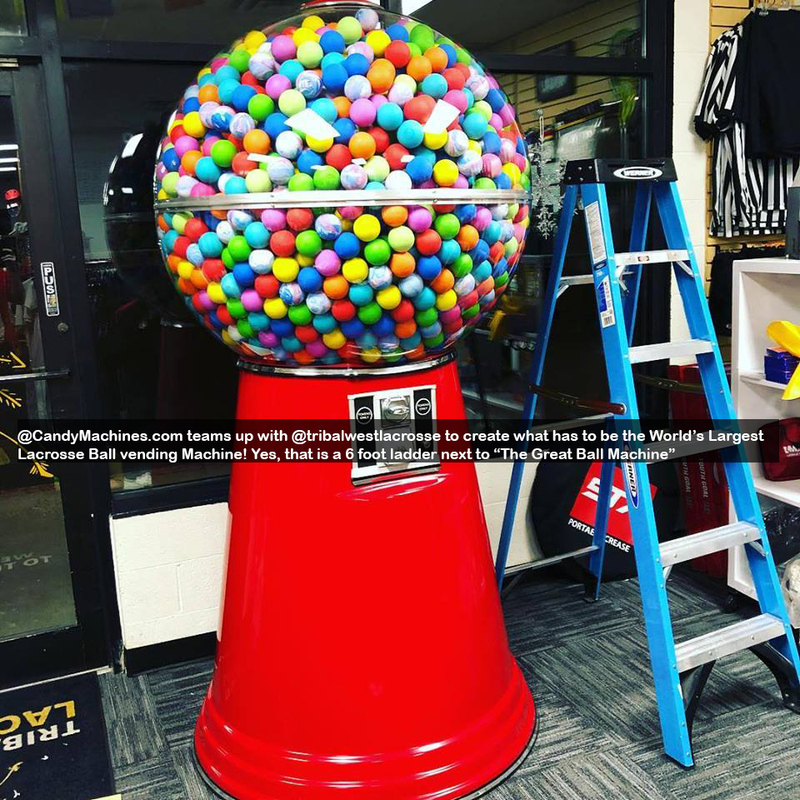 We purchased the Big Mama Gumball Machine last year for our store and customers are awestruck when they come in the door! Everyone wants both a gumball and a picture! The customer service has also been wonderful and everyone has been so helpful! I was really surprised by the actual size of this machine. It definitely catches the eye and is huge!